It’s not just large and small businesses that stand to see a return on investment after implementing or upgrading transportation safety programs. Municipal entities, like the City of Waco, also have achieved positive results since partnering with the National Safety Council and Our Driving Concern. These projects were funded by highway safety improvement program grants. Barrington and Waco officials started working with Our Driving Concern representatives four years ago, following an introduction from Sherri Robelia of the Texas Department of Transportation. After an initial meeting, 44 employees underwent free transportation safety training. 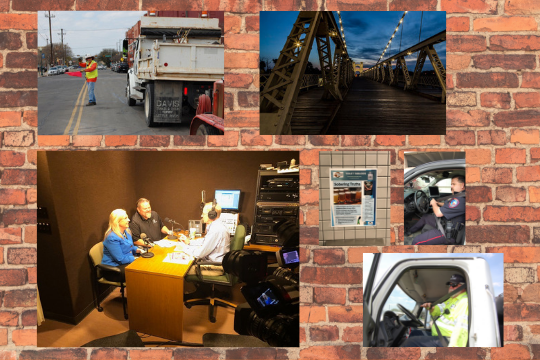 Since then, the City of Waco has used scripts provided at no cost by Our Driving Concern to create traffic safety public service announcements for the city’s cable television channel, WCCC-TV. These PSAs promote safe driving on and off the job by city employees and visitors. Barrington and Our Driving Concern Senior Program Manager Lisa Robinson also have promoted traffic safety through Waco’s city talk radio program. Never have these efforts been more pressing. In 2018, the City of Waco welcomed 2.7 million tourists, according to the Waco Tribune-Herald, many to the Silos Bakery Co. at Magnolia Market run by “Fixer Upper” stars Chip and Joanna Gaines. The City also is home of Waco Mammoth National Monument and the birthplace of Dr Pepper and the Texas Ranger Hall of Fame. The City has about 1,500 employees and each takes his or her safety lead straight from the top. “A safe workplace is the reflection of safe leadership,” Barrington said. Inhalants can lead to impairment behind the wheel and at work. 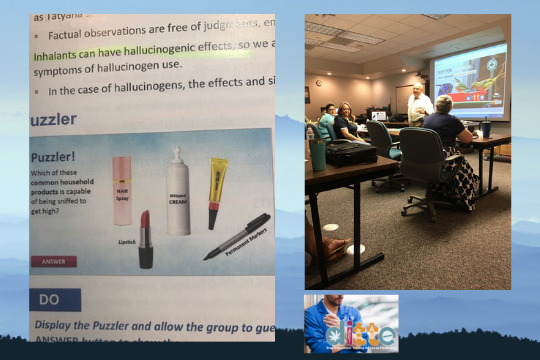 Why should every safety manager be interested in learning more about inhalants? Free Drug Impairment Training for Texas Employers explores the effects of alcohol and other drugs, including inhalants, on driving and workplace performance. In the DITTE trainings, participants gain an understanding of the signs and symptoms of impairment. They also are directed to free resources intended for use at their own locations to create awareness of risks and to promote safe behaviors. Make plans to attend an upcoming DITTE training session near you.